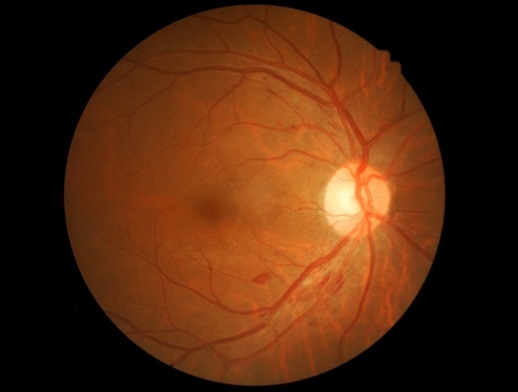 Patients with proliferative diabetic retinopathy showed less worsening when treated with ranibizumab, rather than panretinal photocoagulation, according to recent research published in Ophthalmology. Susan B. Bressler, MD, from the Wilmer Eye Institute at Johns Hopkins University School of Medicine in Baltimore, Maryland, and colleagues evaluated 394 eyes in 305 patients from 55 clinical sites who had proliferative diabetic retinopathy (PDR) and who were treated with either panretinal photocoagulation (PRP) or intravitreous ranibizumab injections. The mean age of the patients was 52 years, 44% were women, and 52% were white. All patients had PDR, no prior history of PRP, and a visual acuity letter score of 24 (Snellen equivalent, 20/320 or better). In patients with PDR in 1 study eye, the researchers performed either prompt PRP in 1 to 3 sittings or received ranibizumab, whereas patients with 2 study eyes received PRP in 1 eye and ranibizumab in the other eye. The researchers treated patients with center-involved diabetic macular edema at baseline with ranibizumab and then treated as needed during the study period. Patients were followed up at 16, 32, 52, 68, 84, and 104 weeks, whereas patients in the ranibizumab group had visits every 4 weeks during the first year of treatment for the evaluation of neovascularization and the need to re-treat. Dr Bressler and colleagues found the cumulative probability of PDR worsening during 2 years to be 42% in the PRP group (99% CI, 33%-52%) compared with 34% (99% CI, 25%-44%) in the ranibizumab group (hazard ratio [HR], 1.33; 99% CI, 0.90-1.98; P =.063). Patients with worse diabetic retinopathy at baseline in either group, as measured by the Early Treatment Diabetic Retinopathy Study scale, were also more likely to have worsening PDR (64% [high-risk PDR or worse] vs 23% [moderate PDR or better]; hazard ratio, 3.97; 99% CI, 2.48-6.36; P <.001). Patients receiving pattern scan for study eyes in the PRP group showed a greater risk for worsening PDR (60%) compared with patients receiving conventional single-spot PRP (39%), and this result did not change according to the number of sittings or the number of spots placed (hazard ratio, 2.04; 99% CI, 1.02-4.08; P =.008), according to the abstract. Among patients with center-involved diabetic macular edema, the PRP group showed greater PDR worsening (45%) compared with the ranibizumab (31%) group (hazard ratio, 1.62; 99% CI, 1.01-2.60; P =.008). “Although anti-vascular endothelial growth factor therapy requires compliance to a more frequent visit schedule than PRP (median of 16 visits with PRP vs. 22 visits with ranibizumab through 2 years), these findings provide additional evidence to support the use of ranibizumab as an alternative therapy to PRP for PDR, at least through 2 years of follow-up,” the researchers wrote. They are continuing their research and are collecting 5-year follow-up data. “Diligent follow-up is required because more than one-third of eyes treated with either approach may experience a PDR-worsening event in this period,” the researchers concluded. Disclosures: Dr Bressler reports receiving financial support from Bayer, Novartis, and Boehringer-Ingelheim. Dr Gross reports receiving financial support from Acucela, Genentech Inc, Regeneron, and Ohr Pharmaceuticals. Dr Peters reports receiving financial support from Genentech Inc.